ACO GroundGuard is a lightweight ground reinforcement system ideal for grass or gravel stabilisation. 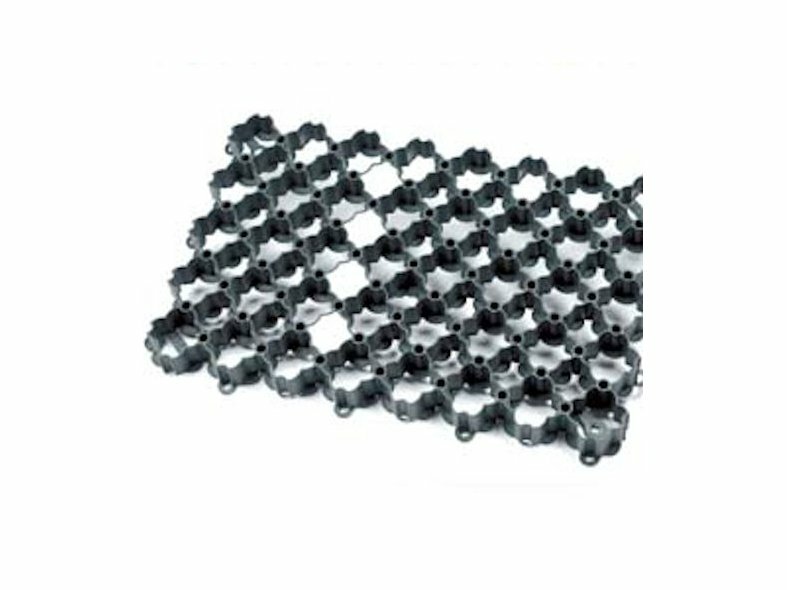 This type of surface helps to reduce the risks of potholes, rutting or grass damage. GroundGuard is manufactured from 100% recycled polyethylene, and is exceptionally lightweight and strong, which makes installation very easy and quick. Correctly fitted, ACO GroundGuard is certified to 250 tonnes per square metre, making itmore than enough for almost any application. In addition to this, ACO GroundGuard is over 90% porous, and so reduces the rate of surface water run-off and saves the cost on unnecessary drainage installation. Parking bay markers can be ordered as an optional accessory. When edging a patio, garden path, or even an ACO GroundGuard reinforced parking area, BorderGuard gives you an impeccable, aesthetically pleasing finish. ACO BorderGuard will prevent your block paviours and slabs from moving due to frost, pedestrian or vehicle movement. ACO BorderGuard is light and easy to work with, manufactured from 100% recycled materials, and offers quick and easy installation. Due to its flexibility, BorderGuard can be used for curves, straight lines or even 90-degree corners. 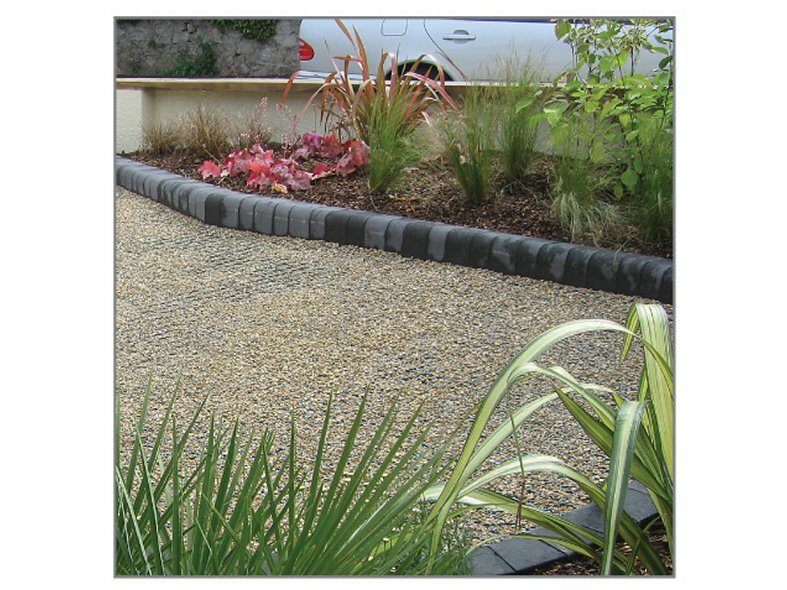 The slim vertical edge is virtually invisible when installed as it is hidden by the soil, lawn or bark chips. 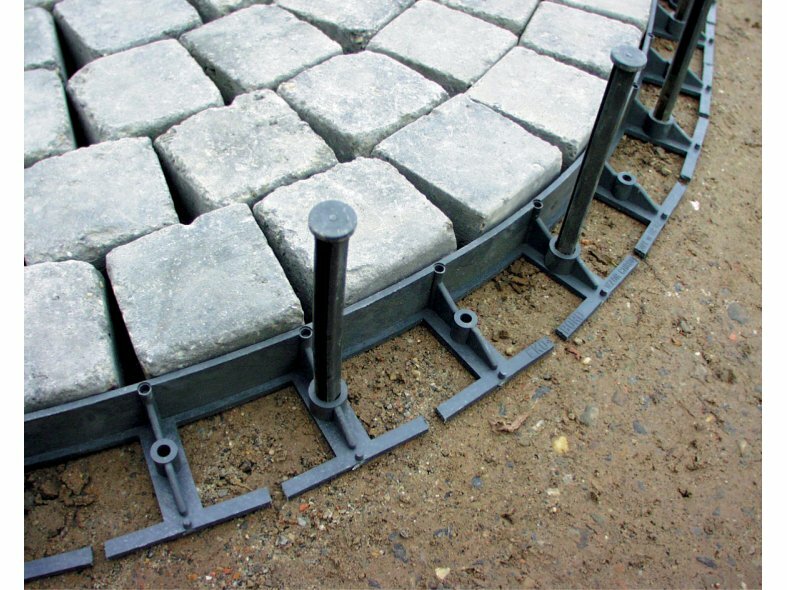 Faster installation than with concrete haunching and allowing bedding plants or grass to grow right to the edge of your paving, enhancing the garden and replacing unsightly concrete.